The morning after the night before. The feelings of shame and the guilt of it all. Did that really happen? We have all been there. A hazy recollection from the previous days events, of something that may or may not have happened. Feeling grubby, with an awful taste left in the mouth. My gut tells me the story, it never lies. In the pit of my stomach my eight pints of weak but scandalously expensive lager mixed with my early evening chicken Jalfrezi have not been able to quench the burning bile that has been stoked by this shocking event. Drinking from 10 in the morning has not helped my frame of mind today but in all honesty the alcohol probably alleviated the pain and has created a selective amnesia. If we don’t talk about it, it didn’t happen. Right? Wrong. 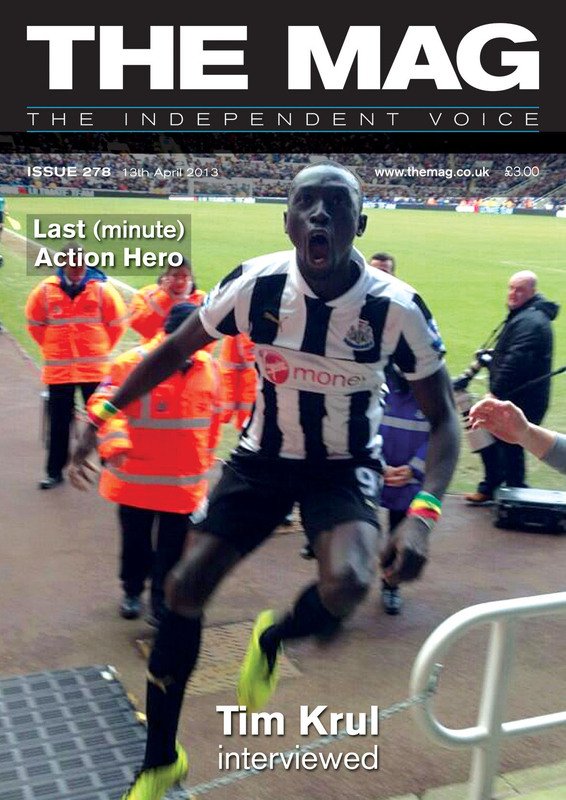 All our worst fears were realised yesterday at a packed SJP in front of the Sky Cameras. Following the morale boosting last minute win versus Fulham and the gutsy second half display against Benfica , all the talk had been about beating the Mackems and putting a nail in their relegation coffin. On a perverse day, that comfy bubble that we had cocooned ourselves in well and truly popped. Not in my wildest dreams could I have foreseen such a catastrophic scoreline come ten to two yesterday lunch time. Sunderland who are shot shy and suffering from a severe lack of confidence and consistency surely would not pull off a result of any sort at a bouncing and partisan St James Park. 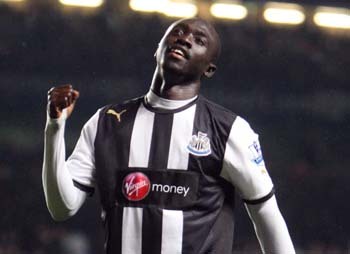 My money went on Cisse 2-0, not be greedy I thought. Two will do, lovely – five English pounds well spent. A licence to print money! However, the air of assurance did start to drain from the moment the team sheet was announced. What I had hoped for was a good old fashioned 4-4-2, more or less starting the game with the XI that finished on Thursday night. After all Pardew said himself that, “No matter how good the team is, if you put them under pressure like that they will not be able to cope”. He was right, Benfica were as good a side as I have seen us play for a good couple of years and we had them rocking. Common sense would see us take that mentality in against our dearest neighbours who are so fragile in all areas, missing their only striker of quality, their captain Clattermole and only floating above the trap door on goal difference. But maybe common sense is not a trait used in modern day football. I commented last week after Fulham that Pardew’s tactics have been to feel our way into the game then turn on the afterburner after 60 minutes and throw the kitchen sink at it. This has resulted in some nailbiting 90th minute winners. Exciting, but imagine we did not sneak those goals? Where the bloody hell would we be now? It isn’t worth even thinking about. The thing is, victories paper over cracks, defeats make the cracks seem like chasms. Everybody wants to know why this could happen, so the stewards’ enquiry begins…. I don’t think allowing a fragile Sunderland team any time whatsoever to feel their way into the derby game would be a sound tactic. We should have been at them from minute one. We weren’t. Is Thursday night an excuse? Were there tired legs out there? No doubt there were but that comes back to the old chestnut we had way back in the summer – the squad was not big enough, nor had the quality to accommodate the extra games or injuries. You reap what you sew. We made signings in January, way too late. Again, had we not made those signings – where would we be now? Don’t want to think about that either. The game itself was poor. Quality in possession was poor, defending pretty abysmal, creativity not great. Unfortunately, that has been a symptom of most of our games this season. Regardless of staying up or not, some big decisions need to be made on where we are going with the squad, the manager and the club in general. Yesterday saw Newcastle United lose their 17th game this season. That, from only 33 games, is an incredibly dire statistic. Wholly unacceptable. Players quite simply are just not performing. You cannot argue, with that many losses, that this season has been anything other than hugely disappointing. I am not going to call for Pards’ heed on a spike, but many are questioning his tactics and above all, team selections. After such a heavy defeat to the unwashed, regardless of the performance, all the woes of this season’s under-performance are going to come out now and Pardew whether he likes it or not, could be on borrowed time. Unless he comes up trumps again like last season. Newcastle are crying, nay screaming, out for natural width, yet we play consistently with square pegs in round holes. Left footed layers on the right and vice versa. Forcing play to constantly come inside and cause the game to become narrow and much easier for opposition to defend. If you do have a lefty on the right, the absolute minimum you need is a natural footed fullback who can assist in creating that width. It was galling seeing Gouffran and Gutierrez doing the hokey cokey and turning around. We have a beautiful big pitch, use the bugger! We need natural wingers. If he insists on playing one up front and then a number ten position behind – why not use our actual number ten in that role, HBA instead of our new number 7, Sissoko? We still need two quality strikers, Shola bless him is not up to it. 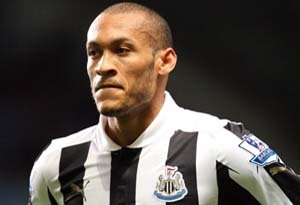 He is a very fortunate boy to have been with NUFC for so long and Gouffran has not cut the mustard for me at all – albeit out of position for the majority of his minutes on the pitch. Defensively we will probably lose Colo in the summer, and worryingly having spent a lot of money in the last couple of windows on Santon, Debuchy, M’Biwa and Haidara we are quite plainly as vulnerable as ever. Is it being taught at the club to back off when a player is heading towards goal? Are they being taught under no circumstances to go to ground for fear of red cards? Honestly, our defending for the goals was tragic. Lastly we now have our number one goalie out with a dislocated shoulder. This injury is bad enough for outfield players, look no further than Stevie Taylor, but for a goalkeeper it can prove a difficult one to bypass. West Brom are next up and they will provide another stern test, Steve Clarke was in the crowd and will have noted our defending. Big Lukaku caused us no end of problems last time out and I fear another away day woe. But in the ridiculous world of NUFC, who the hell has a clue!